Here is a pic of the new Windrestrictor I had custom made for the Sky. I got it thursday and installed tonight. 2005 Onyx Ion Redline w/comp pkg - one of a kind! i like that! is that the back glass? Yeha buddy looks pretty nice, definately won't be 2 of those running around. No, it's not the back glass. It is a piece to help cut wind with the top down. It sits about 4 inches toward the front of where the rear window is and can be kept in with top up or down. I installed the dimmer with it, so I can increase and decrease light and turn on and off. BTW, anyone know for sure, I was told that as long as it's only glow and the light itself is not visible, it's legal? I am a tad worried with the blue. Cops are partial to that color. 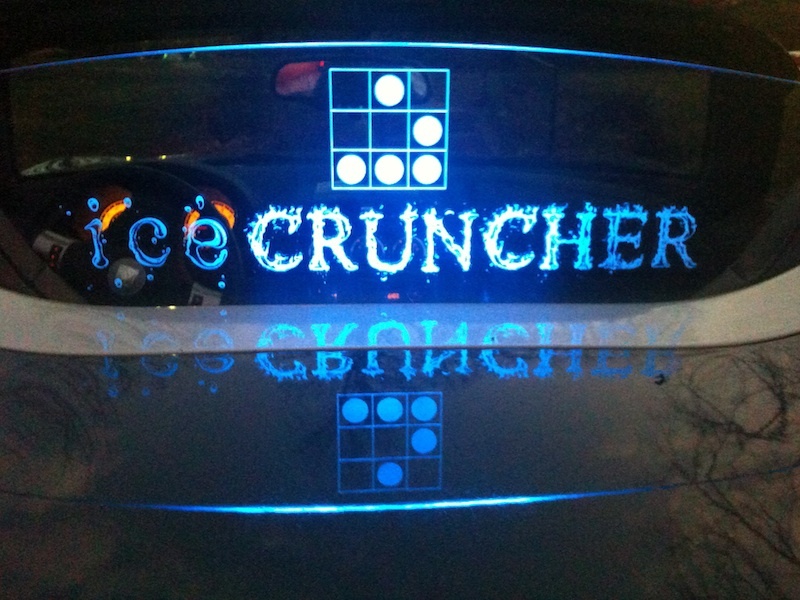 Last edited by icecruncher; 01-29-2012 at 09:40 PM. Being legal or illegal is one thing. If a cop wants to pull you over they are going to pull you over. It depends on your state laws regarding vehicular lighting. Look those up and it should tell you. Being pulled over is embarrassing, but live-able. All stupid. But I don't want to get a ticket for something if it is illegal. Oh, well, if I do get pulled over, I'll post.